thriceplus wrote: Come on dawg, really? Really? Yeah, this might be true for almost any other series except Conan, but Conan is arguably one of the top 10 most successful manga franchises in the history of Japan. Gosho is the JK Rowling of Shonen Sunday and when you are JK Rowling, people don't tell you what you do, you tell them what to do. Do you really think Gosho doesn't have full creative control over Conan and he must listen to his editors? No way, Jose, I don't even think Jump would dare touch Gosho, much less the already struggling Sunday. Rin-ne's been a complete flop for the last 6 years lol, but do you think Sunday will really tell Takahashi that she must pack up and go home? There are just certain perks you enjoy after you sell 150 million copies of your manga for the company and generate god knows how much additional income through other means. Conan's popularity sinking so low that Sunday will meddle with or even cancel is too low to even be plausible. The JK Rowling comment is pretty out of place. She wrote in a very different medium at a very different industry (what sort of relationship she had with her editors is surely explored somewhere on the internet). I also did not suggest that Gosho must listen to his editors or doesn't have creative control. Just that not everything depends on what he wants, and he likely would listen to his editor/s if they said he should do something (not every single thing, but surely he'd agree on doing some things). The series has readers and the magazine conducts polls every now and then. If the publisher or editor notice whether or not something works, they'd likely tell Gosho. This doesn't mean that Gosho lacks creative control. Conan's popularity sinking so low that Sunday will meddle with or even cancel is too low to even be plausible. I didn't say it will sink in popularity. You suggested the notion that Gosho has a timeframe since the end of the Vermouth arc, and that he plans to finish it before his retirement. I merely pointed out that this isn't how this industry works, and I think it's very unlikely that Gosho made such timeframe more than ten years ago, because he had no way of knowing this series would still be going on, and no guarantee he'd reach the age of retirement with this series still ongoing. Jd- wrote: In the anime and manga game, 51 is just the beginning. Successful manga creators and anime voice actors/directors rarely tend to actually retire--especially those that enjoy the work and feel they can have sustained success. Agasa's voice actor is in his 70s, James's (who died recently) was 80. I don't think you'll see Gosho "retire" or completely reduce his output, whatever series that may be in, until he's at least in his mid 70s. Conan's voice actress is 50 now, too, to note. All of which still seem to write manga that is much older than Conan. Allow me to intrude, but the Mangakas that you are comparing to Gosho and the series' you are comparing DC to are of no level to it. Detective Conan by far right now, and even when they where at their peak, outruns them by ideas and cases. The only series that may be capable of winning over DC is Captain Tsubasa, and maybe One Piece. The mystery genre tops the others, it's hard for the writer himself to cope with, and it's very difficult to keep creating links to the story no matter how insanely imaginative his mind is. Think of it in term of cases that he should create. If you're suggesting that we're going for another 20 years, then you're saying we're gonna have the same amount of cases we've already had or at least 3/4 of them. Gosho is not a God, he can't just keep creating cases, and what proves this are the cases that seem a bit similar to the old ones. The series can go on in spin offs, like how the BO worked in America, Shinichi and Heji's rivalry, Shinichi with Ran and their child, Conan facing cases. The number of ideas is outrageous. The movies are of no relation to the series if we exclude the last movie, so it's a no problemo. Detective Conan can go on forever even if the manga is over, Gosho's the one to decide not us. In spite of all that, I think that the manga will keep on running for about 10 years. Rum's on the move, it's not logical for us not to actually have his first appearance 3 years from now since his features are unique, I think he'll be shown to us directly without any puzzles. After his appearance something big is going to happen. That big thing will lead us to the final showdown. I really don't think we will degrade from the 2nd man in charge to something new like Bourbon, unless it's wrapping loose ends. The boss' arc will be fast unlike the others, since it won't need much build up like Bourbon did, and Rum's arc should cover many important points about the boss and the organization. That's what I guess is going to happen. Even when the manga will be finished and Gin/Ano Kata/etc. arrested, if they are arrested, Tokubetsu-Hen could be continued, as well as the anime and the movies. So I wouldn't say "Conan's going to end", but "Conan's plot is going to end". wkd wrote: Allow me to intrude, but the Mangakas that you are comparing to Gosho and the series' you are comparing DC to are of no level to it. Detective Conan by far right now, and even when they where at their peak, outruns them by ideas and cases. The only series that may be capable of winning over DC is Captain Tsubasa, and maybe One Piece. The mystery genre tops the others, it's hard for the writer himself to cope with, and it's very difficult to keep creating links to the story no matter how insanely imaginative his mind is. There are an infinite amount of mystery stories that can be told. Gosho has no doubt been recycling setups, gags, scenarios, and ideas for ages but still has managed to give each case its own spin. That is something he can do for the rest of his natural life if he so wishes. Even in the early days, there was plenty of light retreading. Gosho, his assistants, and his editors will have no problem doing as many cases as they've already done again if Gosho wills it. Technology and the times change drastically as the years pass. With these advances, we get new seeds for ideas in terms of mystery stories (think about how much cell phones brought to the table as storytelling devices, and now smart phones). Times will keep changing and new ideas will keep coming up, both for Gosho and everyone else out there. Gosho, however, has a sliding timeline that allows him to work in anything happening at the time. The advantage that Gosho really has is that the series is set in a grounded world. All of the locations you would encounter in person, you can have be the setting for a story, and even those that are a little far fetched work all the same. There are a lot of avenues he hasn't started down, so I would say to this point that you are vastly, vastly underestimating Gosho's creative prowess if you think he's anywhere close to stopping because he no longer has a way to get ideas. 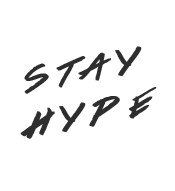 He knows exactly where to get new ideas and inspiration; he won't run out anytime soon. Now, he may get tired of writing the same series forever, but if he had to, he absolutely could repeat this formula for 20 years as he has. There's been no indication that his bag of tricks is dwindling and he's desperate for any and all new ideas to go on. As I'll get into more below, this formula is too easy for him to write with at this point. He doesn't have to write for Conan; he just has to take two small ideas and plug them in. Even more than this, it's extremely important to understand that telling a story is a lot different than telling mystery stories. In a series that is story-based, you can only go so long with filler content before getting called out on it. You also have to somehow make that filler content make sense within the context of what the series is aiming for. A series like One Piece and Naruto, for example, hit that wall very hard when they hit it because there are only so many stories that can be told around that central premise before fans begin to get rowdy. With Conan, it's completely different: The story is extremely sporadic in all senses. Be it the Black Organization or character moments, these happen with extreme irregularity and often without any consequence toward anything that's going on at a given time. The norm in Conan is not development: The norm is filler. That is why the series can go on, exactly as it has for so long, with the same status quo. You can take virtually any mystery scenario and paint Conan into it. Why? Because Conan is far more often than not the least important part to the actual scenario of a given case. This is exactly why there will always be room for more cases--Gosho doesn't have to think of a good Conan case, he just has to think of any general trick and location and throw a motive in and it's done. He can mix and match past ideas for the next 20 years and it'll work just fine. This is all without even taking time to acknowledge that he has an expert formula in place at this point. Jd- wrote: I know some fans say the TV series and movies can continue indefinitely even if the manga ends, with AOs and the usual movie structure, but that's not how things will work for this series. The manga, anime, and movies of Conan are a three-headed monster that provide a perpetual advertising apparatus for one another. When one goes down, it will have a very noticeable effect on the others. The anime may take on a new form after it "ends", but it will not be anything like what it has now. The movies have recently begun to see considerable overseas distribution in theaters, with new countries likely to join the annual game very soon. Once that end-game occurs in the manga, and then a year later in the anime, there will be a greatly diminished appetite for new things Conan. Everything will be affected. That's just how it's going to be in this situation, where we have a very long-running series with no hint of an end in sight for so long. Once that end comes and passes, it will really dull every permutation they come up with in terms of side stories and "while he was still Conan" (as if we'd have not seen that enough by then) continuations. There will be a diminished interest in new things Conan once it ends. There will be spin-offs of varying sorts later. There absolutely will be. But, the series will not continue as people expect. It will be sporadic and not with the same budget or hype that we see now. Once the series is over, with a proper ending, it will begin it's post-life and that post-life will not come with the same fervent following that it does now. Many people come and go from the series often, coming back just to see where the story has progressed. Once the story is over and the perception is "Detective Conan finally ended! ", the appetite for new things Conan will be diminished and so will the output of all things Conan. I mostly agree with what you're saying Jd-, however I have one disagreement regarding DC's post-life. While I have no doubt that the appetite and the hype for Conan will decrease on the internet and in western and foreign fandoms once the manga ends (because people in these fandoms are mostly interested by the plot, the BO, some Shin-Ran romance and a little bit of Heiji and Kid) , I cannot imagine the same thing happening in Japan where the anime and the movies have already pretty much become more popular than the manga and where the vast majority of the general public cares very little, if they are even aware of the plot, about whether Conan finally crushes the BO. And since, for obvious reasons, Conan is produced first and foremost for a japanese audience which brings in the vast majority of its revenue, I don't see why there would be a significant change in the ouput. For the average japanese viewer and/or moviegoer, Conan after the end of the manga will most likely be very close to what Conan was before the end of the manga, as is the case with several other successful ongoing franchises (most of them episodic like Conan). Wakarimashita wrote: I mostly agree with what you're saying Jd-, however I have one disagreement regarding DC's post-life. While I have no doubt that the appetite and the hype for Conan will decrease on the internet and in western and foreign fandoms once the manga ends (because people in these fandoms are mostly interested by the plot, the BO, some Shin-Ran romance and a little bit of Heiji and Kid) , I cannot imagine the same thing happening in Japan where the anime and the movies have already pretty much become more popular than the manga and where the vast majority of the general public cares very little, if they are even aware of the plot, about whether Conan finally crushes the BO. And since, for obvious reasons, Conan is produced first and foremost for a japanese audience which brings in the vast majority of its revenue, I don't see why there would be a significant change in the ouput. For the average japanese viewer and/or moviegoer, Conan after the end of the manga will most likely be very close to what Conan was before the end of the manga, as is the case with several other successful ongoing franchises (most of them episodic like Conan). I understand where you're coming from but want to add something very important. Anytime something ends and is pushed as having an ending, we are definitely talking about a very significant change in public perception, for anything. The idea of something ending raises expectations and investment with the readers, the fans, the viewers (usually resulting in increased figures). Everyone tunes in and pays attention to that ending, because "This is it! This is where I'll get my answers! This is the final part! This is an event! This will be great!" You see it whether it's singing competitions, animes, mangas, whatever it is: The finale changes everything. The only difference here is when there are officially-sanctioned sequels and prequels on the same level that are given the same attention and budget, etc. I do not think Gosho will do anything remotely long in the Conan universe after he wraps up the series; the spin-offs and movies that follow will be with his blessing and I'm sure (to some degree) his input, but the fact remains that the perception will be forever altered by the fact the series is "over". Unlike series like Lupin and Doraemon, where they have run perpetually with absolutely zero expectation of an actual, definitive ending or even an actual story, Conan will be facing a much greater challenge. Part of its charm will become part of its problem to remain exciting once it has a resolution. On a technical point, while it is no doubt true the general audience in Japan doesn't really care about whether the episodes are based on the manga or are anime originals, I think they definitely will should all of those turn to anime originals. It will be extraordinarily (even prohibitively) difficult for them to keep up the usual Conan pace without having those manga cases as mile markers along the way. Sure, many much more basic series run year-round, but animating anime originals in an altered scenario will be quite difficult and I do not see them trying to continue it in that week-in, week-out sort of way after the anime has featured the series' "ending". This is all moot as far as I'm concerned, though, because I expect the anime as we know it to end, full stop, with a final episode adapting the ending Gosho publishes in the manga. Something different may come later, but I believe Conan will have a final episode based on the manga's ending. Moreover, I expect the post-life (whatever form it takes later) to come mostly in terms of "back when I was still Conan..." flashbacks with some "current day" Shinichi cases thrown in. What we will learn quickly, though, is that no matter where the fans are from, a lot of the charm in the series centers around the scenario that Conan is in. Once he's back to his usual body and doesn't have the hurdle of having to not just solve the cases but find a way to present the solution, things will be a lot more watered down much more quickly. Shinichi's cases, in this hypothetical future, won't have the pressing urgency that they usually do now while he is temporarily back to his body instead of permanently (times when he has to solve a case while fighting the clock of turning back to his child form). So, once the series is advertised as ending and once the perception has changed to "Conan is ending, finally! ", people in Japan, America, Canada, Spain, Italy, Germany, China, and elsewhere will sit up and take notice. They'll stick around, they'll read the ending and they'll watch it a year later in the anime. But, when that ending comes through in the anime, they will be extremely hard pressed to just "continue" from there. Limited series, specials, or doing some sort of in-between with "while he was still Conan" are definitely possible, but once that ending is there and we've hashed out some of the "Where are they now?" side stories that are inevitably on the way, there will be a significant drop in the appetite for new Conan everywhere, including in Japan. That does not in any way mean the whole promotional line will evaporate overnight, but it does mean the common order will be in for major, major changes. Going back to what I said earlier: The movies will definitely (try to) continue, in some form, to whatever success they can get. The earlier point about Gosho not ending the manga for the sake of those working on the anime and manga is due to that diminished interest that will come out of the fact that the series is now viewed as "over" and everything that comes out after that is just a side story to something that already ran for 20-30 years. Once the manga is over, the movie/anime productions will definitely be toned down (and in the case of the anime, I suspect ended entirely). The movies may remain successful, no doubt for a few years in my opinion, but once we've exhausted all of those aforementioned permutations, the audience will almost certainly see a dropoff. The anime, though, would be much more hard pressed to find any great success after the series itself is "over" (as mentioned above). To put it even more directly: One major factor for Gosho not ending the manga is because the anime and movies are still successful, but it is unlikely they would maintain those same levels of relevance and success if he were to break the chain. Right now, when a Conan movie comes out, the anime and manga have been running year-round promoting its very existence. The trifecta of promotion has worked extremely well. Kids and adults alike remain aware of the series and come out for it in good numbers not just because it's an annual institution but because it is always-on, always-available, and always-there. Once those factors begin to fade, it's not going to go the way people commonly expect ("They can just do cases with Shinichi then!"). On one final note: There will be an announcement of some sort at least a year ahead of time before Gosho ends the series, if every other big manga series of late is any indication. I'd say Gosho's pacing defies all logics of storytelling. And I don't know, but lately (these past few years) I'm losing my faith in that guy. But a little part in my soul actually does hope it's coming to the end. But yes, as Jd- said. Jd- I certainly understand where you're coming from with your statement on how any further shows or material might not reach the same hype, but at the same time, one can never be certain. I mean afterall, Gosho originally intended for the series to last for what, maybe just six months. Indicating that he didn't consider it to be something that could/would become a big thing in terms of success. So while any spinoff could easily be second rate in regards to ratings and profit, they could just as easily do just as well. I think the more accurate way of putting it is that you don't want it to end out of dislike, but you want it to conclude rather than it possibly ending due to say cancellation or declining interest causing a rushed interest. I mean it would be one thing if the length was due in part to creativity, but as it's being done arguably for money and ratings only, then artistic integrity has already been compromised. 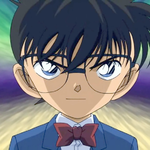 wkd wrote: The series can go on in spin offs, like how the BO worked in America, Shinichi and Heji's rivalry, Shinichi with Ran and their child, Conan facing cases. The number of ideas is outrageous. The movies are of no relation to the series if we exclude the last movie, so it's a no problemo. Detective Conan can go on forever even if the manga is over, Gosho's the one to decide not us. Another possible spin off, though it would require development and proper set up as the main series ends would be to have the Detective Boys getting better at solving mystery or just improving on deductions and maybe have them being stars of a spinoff. That way you can have the mystery solving kids angle, but without having subplots in the background that viewers will want to see resolved. File 915 has been out for over 7 days so no spoiler boxes needed. Apologies for necroing this thread. Here are two posts of mine from DCW's "When will Detective Conan end?" thread. I'm posting it, here, because I'm unsure of whether a similar thread exists on DCTP, and this thread pertains to Detective Conan's pacing and possible ending. If I've made a mistake, by doing this, then I'll find out fairly promptly. Now that Gosho's about to get back on track, in terms of the frequency of files released, it should take him 1-2 and 1/2 years to reach File 1000, and 3-4 years to reach Volume 100, given my calculations on how long it takes him to write 100 Files and how long it takes him to write 13 Volumes. Given that the Rum arc may last longer than 3-4 years, I wouldn't say File 1000 or Volume 100 is when Detective Conan will end. My earliest prediction is 2025, and my latest is 2035. If it ends before 2025, I'd be very surprised. Since I believe Detective Conan is going to surpass 100 Volumes, it stands to reason that it would become only the 21st manga series to do so (https://en.wikipedia...by_volume_count), if the series ahead of it stay ahead. The oldest manga, Kochira Katsushika-ku Kameari Kōen-mae Hashutsujo, has 194 Volumes and 1,873 Files, and began in September, 1976—only the top 14 have reached 100 Volumes, as of right now, and only the top three in the list have more than 150 Volumes. The youngest mangaka is 48, the oldest is 79, and most of the writers of the top 21 series are in their late 50s to late 60s. Japan has the highest life expectancy in the world by county, with women living to 87 (the highest, in terms of women's life expectancy) and men living to 84 (the 5th-highest, in terms of men's life expectancy). Going by this, it could stand to reason that many of the longest-running mangas will end within the next 10-30 years, depending on how many exceed the average male life expectancy. Detective Conan is not going to go on forever—everything has its end, whatever the cause of that end may be. What Shuichi said in the post-next Conan's hint (the very last thing in an episode) of Episode 500 was "We're just passing the midpoint." The fact that this is from the anime should be taken with a grain of salt, but why would the anime staff have Shuichi Ikeda say that if it didn't mean anything? If it does mean something, then it means that the Kir Transport Case (Files 599–604/Manga Episodes 301–303) and the Foreign Suspect Case (Files 605–609/Manga Episodes 304–307) are the halfway mark in Detective Conan. Could this mean that Detective Conan will end with Files 1,198–1,218/Manga Episodes 602–614? Both these cases were published from February 26th–May 21st, 2007 in the manga and broadcast for the anime from March 3rd–May 19th, 2008. Detective Conan's first file was released on January 19th, 1994, and the first anime broadcast on January 8th, 1996. The manga was 13 years in by these two cases, and the anime was 12 years in (a year behind, as it pretty much always has been—with a few over/under a year deviations, from time to time). Could this mean Detective Conan will end in 2020 in the manga, and in 2021 in the anime, after 26 years of the manga and 25 for the anime? The Bourbon arc took 6 and 2/3rds years to complete in the manga, and just two weeks short of 7 years in the anime (Files 622–897/Manga Episodes 313–484 (roughly); 276 Files/172 Episodes). If Detective Conan will end in 2020/2021, then the Bourbon arc put us over halfway there—we'd conceivably just have to wait the same amount of time we did for the Bourbon arc to end for the series, itself, to end. File 898–File 1,198/1,218 – 301–321 files to the end/Manga Episode 484–Manga Episode 602/614 – 119–131 episodes to the end. We could be in the last quarter of Detective Conan for the manga and the last 5th for the anime. I've even narrowed down a possible date for the end of the manga: Wednesday, June 17th, 2020. The Anime end would come within a year of that, obviously. I tallied up the manga-case only episodes (Save for File 594 – The Fugitive, since it never got an episode, only a TV Special, 7 years later) and ordered them both in anime and manga order (anime had some episodes earlier/later than others in the manga, especially towards the beginning), so that's why I know what Manga Episodes certain cases are. So this expands my range for Detective Conan's end year: 2020–2035. I'd still be very surprised if it ends as early as 2020, though, especially with Gosho's 28 breaks between September 22nd, 2014 and August 10th, 2015—that's only 18 files released over the course of nearly a year, which is half of what he typically achieves in a year. I agree-Conan is probably on it's way to the end. Like someone already said, Gosho, though he still loves Detective Conan, is getting tired of it and wants to work on other things. Namley, Magic Kaito. What I think might happen though(as Conan makes waaayyy to much money to not do something after) is that he will finish Conan, and hint that there is an even greater force behind his organization and the MK organization (as Gosho has stated Kaito probably won't have anything to do with the Black Org plot, but the similarities between the two orgs are too strong), and Shin'ichi/Conan, Kid, and a bunch of the favorite charactes will come back for that fight under a new title. It might just be wishful thinking, but I feel like Gosho would have a bit more freedom with the weekly plot-instead of mostly muder cases and such, he could throw in a lot more with Kaito and co, but wouldn't have to stick to one or the other. Also no one said Conan would have to end with them finding the antidote-it could end up that Ran finds out and Ai at least develops a temporary antidoe that doesn't have (as) high of a chance as making it so Conan will be unable to become Shin'ichi permanatly. So Conan would switch back and forth a bit more, to keep the kid viewership, but also to give DC a sort of end, for those rare people who would stop there. Or they get the cure, but he decides not to take it untill this new org is gone(although Ran will still probably know. If he is gonna end DC Ran has to know about Conan). Again, probably just wishful thinking though. Still....I would love that even more than DC, because of Kaito and Conan being there all the time...thing of the character interactions! Also would like it more because I like Kaito more and MK almost more(I actually read it before I read DC). SakuraKaitou1412 wrote: I agree-Conan is probably on it's way to the end. Like someone already said, Gosho, though he still loves Detective Conan, is getting tired of it and wants to work on other things. Namley, Magic Kaito. Yeesh. But that's what popularity can do. There'll likely be more MK Files once DC ends, but in terms of story... I don't know. Midnight Crow hinted that Toichi might be alive, and Gosho seemed to suggest that he was. We know even less about MK's Organization than we do about the BO, and there's still so many unanswered questions about the BO as it is. Gosho said Kid might not be a part of the final confrontation with the BO, but who knows? There were people who thought that the references to him during Mystery Train (Files 818–824) were just hints that he would appear soon... in another case, not in Mystery Train, and not appear to allow Shinichi's/Conan's plan to fake Shiho's/Ai's death succeed (for now, at least). 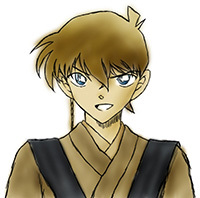 I still feel we're due a Shinichi/Conan appearance in MK, and that his debt to Kaito is still in effect (though this may not play any role, later on)—maybe we'll see one just before, just when, or just after DC ends. The MK organization is similar to the BO in the same way Shinichi is similar to Kaito, that Ran is to Aoko, that Yusaku is to Toichi, and that Kogoro is to Ginzo. It's up for debate whether there's going to be another BOxMK crossover, and one that'll be even bigger than Mystery Train—no one thought Gosho would have such a crossover, but he did, and in one of the most important cases in the Bourbon arc (which comprises 1/3rd of DC's story). I honestly don't know how DC is going to end, in terms of specifics, which means I can't really comment on the story continuing or not after it ends. Mostly everyone is going to live, and the BO is going to lose, that's for sure, but the rest... a lot of it is uncertain—for me, at least.